Two very different presidents from opposite ends of the political spectrum have recently taken office in Latin America's two largest economies. Leftist Andrés Manuel López Obrador (AMLO) in Mexico and right wing former army captain Jair Bolsonaro in Brazil were both inaugurated in the past couple of months. Thomas Smith assesses what's in store for the two countries' economies. In the final stretch of the election campaign and in the months following the election in July, AMLO moved to the centre and moderated his rhetoric on a number of key issues that calmed both businesses and markets. He vowed to pursue fiscal discipline and guaranteed Banxico's independence, declared he was in favour of remaining in NAFTA, was considering ways for the new Mexico City Airport to proceed, came out in favour of encouraging investment in the energy sector, and produced a balanced 2019 budget, all of which supported a rally in the peso and equity market. Bolosnaro has been elected at an opportune moment, with the Brazilian economy emerging from its deepest recession in decades and plenty of spare capacity to support the cyclical recovery." Sadly the honeymoon period was short lived as in October AMLO held a referendum over the future of the new Mexico City airport and, with just one million voters representing less than 1% of the electoral base, proceeded to cancel the project. Shortly after the President of AMLO's Morena party in the Senate proposed a bill to cut bank fees. While AMLO stated the following day that there would be no change to banking fees in the first three years of his presidency, this episode highlighted the lack of clear communication within the party and further reduced the visibility on future policymaking. This heightened uncertainty is reflected in asset prices, with Mexican stocks trading at a 25% and 20% discount to their five and ten year history, respectively, and the peso not far off levels seen during the Tequila crisis and previous financial crises in real terms. In this environment, we are finding opportunities to buy companies at very depressed valuations but we do acknowledge that a reduction in the cost of capital is unlikely in the short term, and reduced business confidence will likely weigh on economic growth and earnings. Having narrowly missed out on winning the Brazilian election in the first round, Jair Bolsonaro was a comfortable victor in the second round in late October. The strong performance from his PSL party means they are now the second largest party in the lower house, which will materially improve Bolsonaro's governability. During the transition phase ahead of his inauguration in January, Bolsonaro appointed Chicago educated economist and founder of Banco Pactual Paulo Guedes as his Economic Minister and put in place a strong, market friendly economic team. This shows a firm commitment to a liberal economic agenda which will include a smaller state, broad privatisations and a comprehensive pension reform. 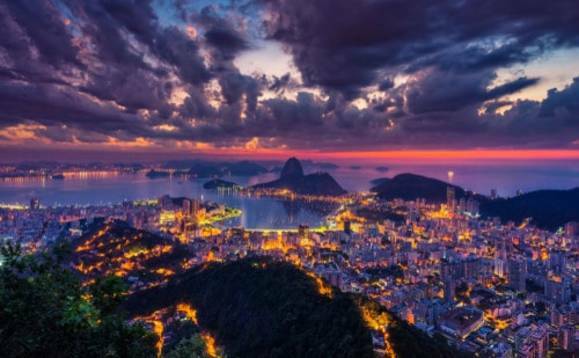 Bolosnaro has been elected at an opportune moment, with the Brazilian economy emerging from its deepest recession in decades and plenty of spare capacity to support the cyclical recovery. However, while much progress was made under Michel Temer in recent years, a lot more needs to be done to shore up Brazil's fiscal accounts and put government debt on a sustainable path. Despite the rally we have seen following the election and increased optimism towards the prospect of economic reforms under the Bolsonaro and Guedes team, Brazilian equities are trading in line with historic multiples and the cyclical economic recovery will continue to support earnings growth well ahead of broader emerging markets. Brazilian equities continue to be under owned by international investors and if longer term interest rates in Brazil remain low of fall further, equities will look increasingly attractive to domestic investors and pension funds. Some of the best opportunities among state owned companies who will benefit from improving regulation and business conditions with the potential upside of privatisation, and private companies who will continue to benefit from the economic acceleration in the consumer discretionary and industrials sectors. Thomas Smith is manager of Neptune Investment Management's Latin American Fund.